With the Issac Mizrahi Carnegie Hill yarn giveaway happening on Fiber Flux right now, many of you have not had the opportunity yet to try the yarn. To help answer some of your questions about this unique yarn, I made a short video reviewing this yarn....enjoy! 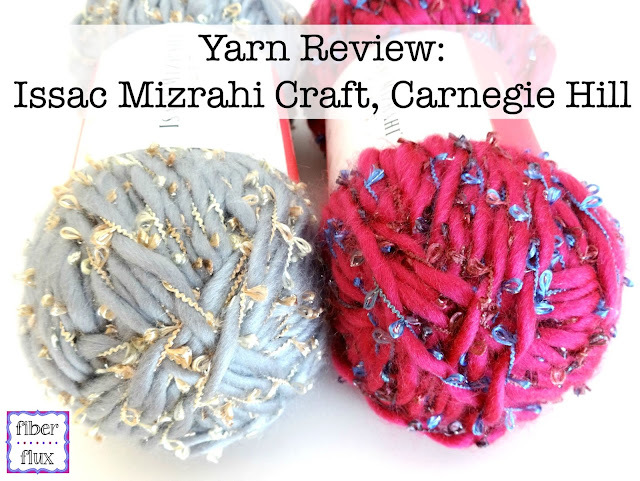 Looking for a pattern with this yarn? 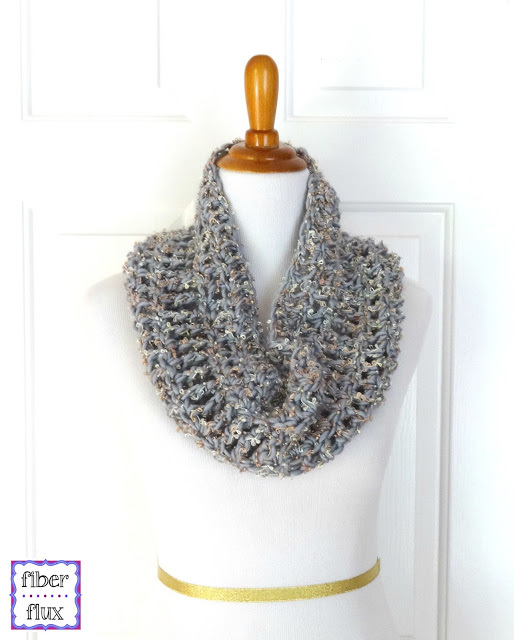 Try this one skein project, the Platinum Cowl! How do you make the scarf to look like the third picture on this page? Do you not do the slip stitch at the beginning of the pattern and then twist the ends before sewing them together?